Know an avid golfer that also likes to grill? Well, the Golfers BBQ Set is just the perfect gift for anyone who enjoys both hitting the green and cooking up a juicy steak. This three-piece stainless steel set includes a spatula, tongs, and fork that come with soft insulated handles that look just like golf grips. The spatula is also uniquely shaped like a club. 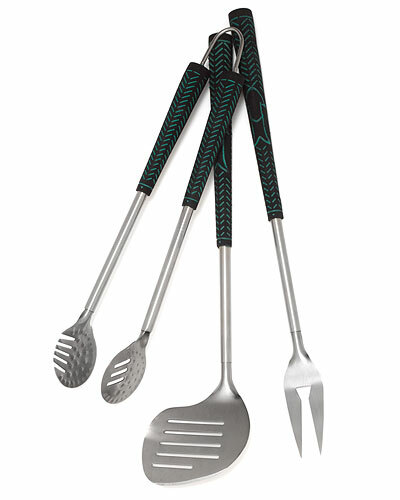 Any griller/golfer will love this set! The L.B. Evans Bryce Slippers are a comfortable cushioned pair of slippers. 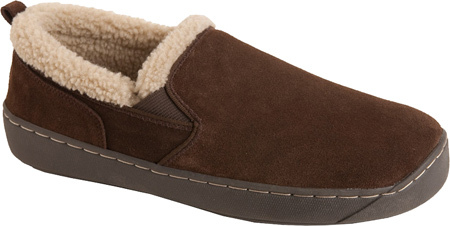 It has a suede upper, a sherpa sock and lining, twin gore stretches, and a padded foam insole. You can be comfortable with them on indoors and out as it has an indoor/outdoor durable outsole. These slippers will keep your feet cozy and warm. Astronauts have sadly said good-bye to space shuttle missions, but they probably haven’t said good-bye to Astronaut Ice Cream. 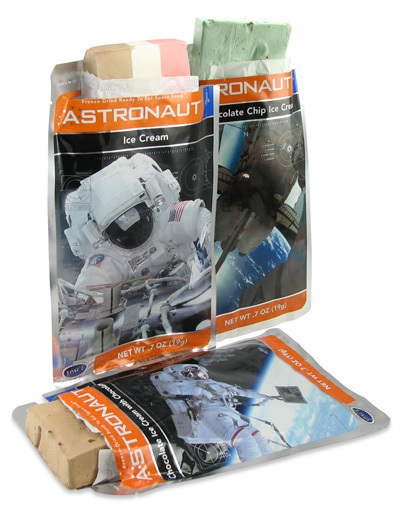 A treat only astronauts used to enjoy is also available to the everyday man. This freeze dried ice cream can be stored unopened for up to three years and comes in three yummy flavors: neapolitan, mint chocolate chip, and chocolate chocolate chip. Try them all! Every couple has cute nicknames for each other – “Sweetie,” “Tiger,” “Puddin’,” etc. The Nickname Snack Bowls make a sweet gift for any boyfriend or husband. 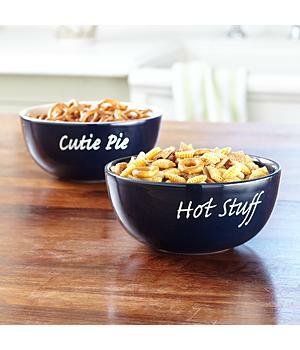 Permanently etched personalized nicknames are put on these stoneware snack bowls for you to see and use every day. These sentimental and attractive bowls come in pairs of two, in blue or red, and are microwave/dishwasher safe. Don’t you just hate it when your wine gets warm? Well the ingenious Corkcicle will take care of that. 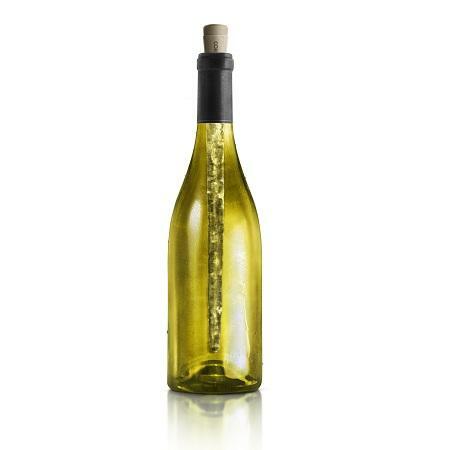 Freeze the Corkcicle in the freezer, and when you’re about to have some vino, put it in to keep your wine cool. It’s made of BPA-free plastic filled with a reusable freeze gel, and helps maintain optimal drinking temperature for champagne, and red/white wines. Cool and unique gift for any wine lover. 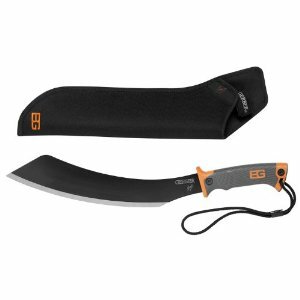 Hack through the jungle or forest with the Bear Grylls Parang Machete from Gerber. This modern version of the traditional tribesman machete has a 13-1/2-inch high carbon steel angled blade. It’s perfect for chopping branches, vines, brush, and vampires. It comes with a military-grade nylon sheath, a lanyard cord, and even a Bear Grylls’ Pocket Survival Guide. Watch the video demonstration of it in action. “Say hello to my little friend.” Brian De Palma’s Scarface is finally on Blu-ray now! Definitely one of the classic gangster movies of our time. 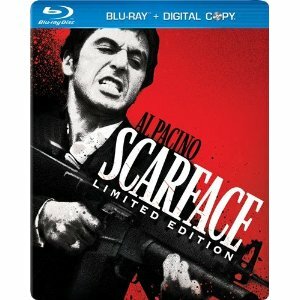 Watch the violence, the drama, the craziness of Tony “Scarface” Montana as can only be depicted by the great Al Pacino. This DVD includes a digital copy, 10 collectible art cards, as well as tons of bonus material. Who likes tough meat? Nobody! So make sure it’s thoroughly tenderized before cooking. The Knuckle Pounder Meat Tenderizer will definitely get the job done. Made of aluminum and shaped like brass knuckles, this will get your steak, chicken, or pork nice and tender. So pound away and take out all your day’s frustration out on that piece of meat. Remember, we said “meat,” not co-worker or boss! 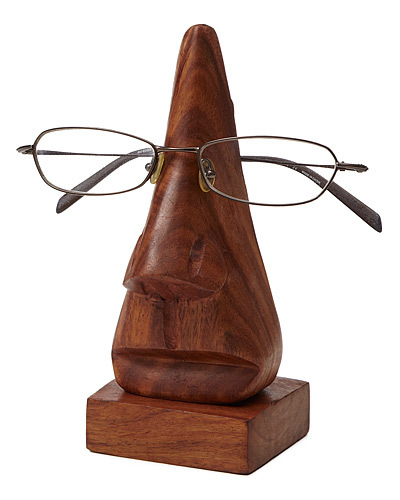 Can’t find the bottle opener when you’re about to relax with a favorite bottle of brew? Don’t you hate when that happens? Well problem solved with the Bottle Opener Fridge Magnet! 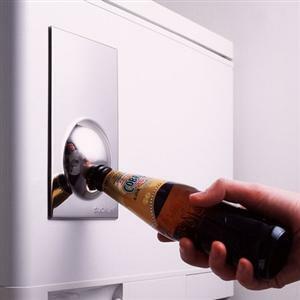 This magnetic stainless steel bottle opener sticks tightly to your refrigerator for easy use. It’s both functional and attractive. Now you won’t have hunt through all your kitchen drawers to find that opener again.